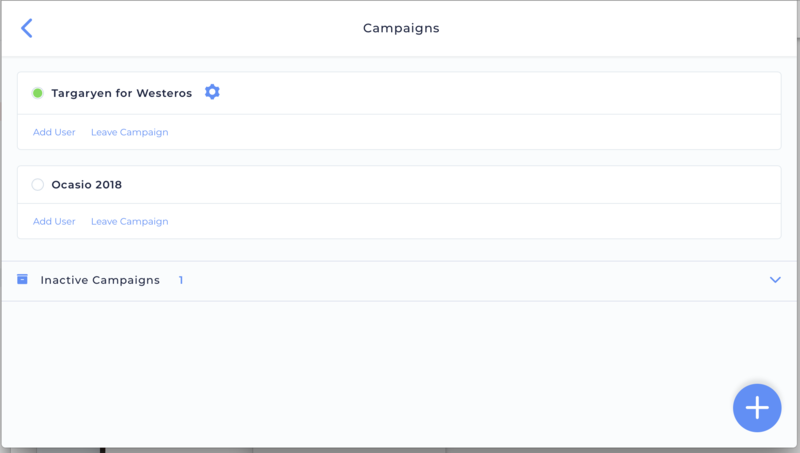 If you are designated as a campaign admin or owner you will see an “Admin” gear button in your campaign picker for that campaign. Tap the button to get to the Admin Menu. You will only be able to access the admin areas on devices with large screens, so it is time to switch over to your laptop or desktop. From there, pick your admin task. Notice the blue gear next to the Targaryen campaign? That is the button used to access the admin Dashboard.